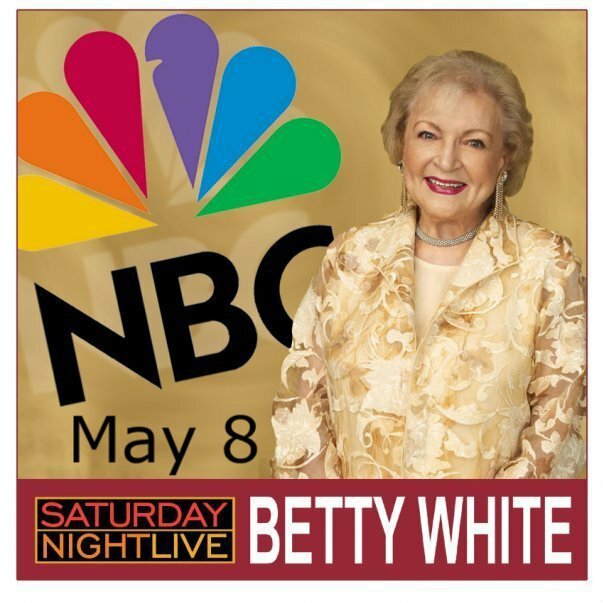 Saturday Nylund Live – Betty White to host SNL! That’s right, The Golden Girls‘ own Rose Nylund… the incomparable Betty White, is slated to host the May 8th “Mother’s Day episode” of SNL! That this didn’t happen sooner is perhaps life’s biggest mystery. Betty’s self-deprecating humor and quick wit is sure to be a great match for Saturday Night Live, and we’re excited to see what is likely going to be one of the more memorable SNL episodes. According to People, “…the special Mother’s Day episode will also reunite six former female SNL cast members, most of whom happen to be moms: Tina Fey, Amy Poehler, Molly Shannon, Maya Rudolph, Ana Gasteyer and Rachel Dratch.” While the 88 year old Betty White is not actually a mom herself, she is perhaps “a mother of great comedy”. That’s good enough for us. How did this happen? A Facebook fan page titled “Betty White to Host SNL (please? )!” creeped up soon after a Snickers commercial featuring Betty White getting tackled in a muddy football game aired during the 2010 Super Bowl. A groundswell of support and petitioning of Lorne Michaels made it all happen! Next Post Hey! Whazzup, make up! My god! Whazzup? !